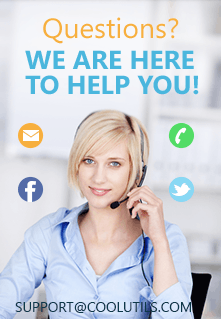 Multi-page PDF files may contain pages of different sizes, if they were combined from different sources. 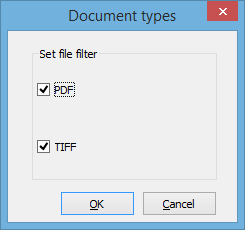 You can always find out what is the size of each page in PDF documents using Tiff Teller. Some users asked us to add an option to tell the size of the 1st page, now it's possible too. Check "Physical Width/Physical Height" to see the size in inches. If you do not see these columns in the table, go to the top menu and press the "Choose columns" icon. Check the missing columns in the popup and press "OK". You will see the report view in full. 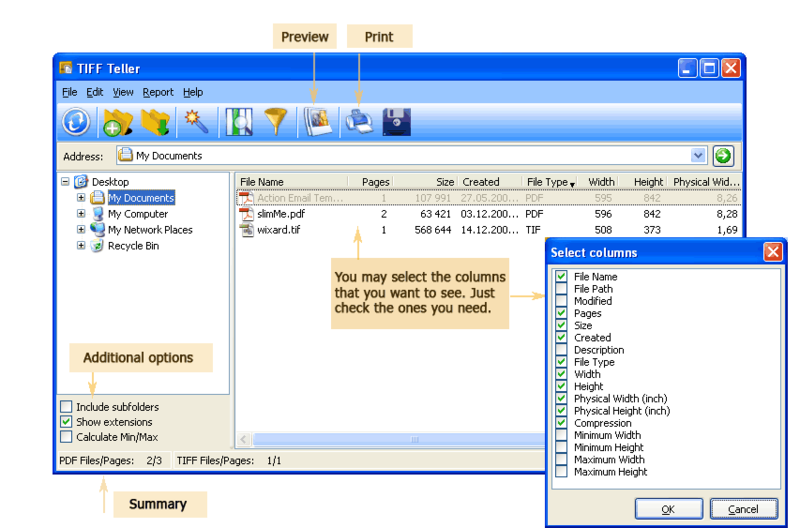 In case you wish to export the information to CSV or PDF file, press the "Export" icon. In the popup window you will be offered to select location, report name, file type, fields, etc. Depending on the selected format, you can add a header and a footer, adjust the format of each column in the report table. When all adjustments are done, you simply need to click on "Start Export" on the bottom. It becomes active after all required parameters are setup. Tiff Teller works with PDF and TIFF files, showing all possible information about them. Additionally, you can order these files properly by relocating them inside the program. This small add-on helps to sort your files correctly. Buy Tiff Teller now ($27.50 only!) and see how much it knows about your PDF documents.